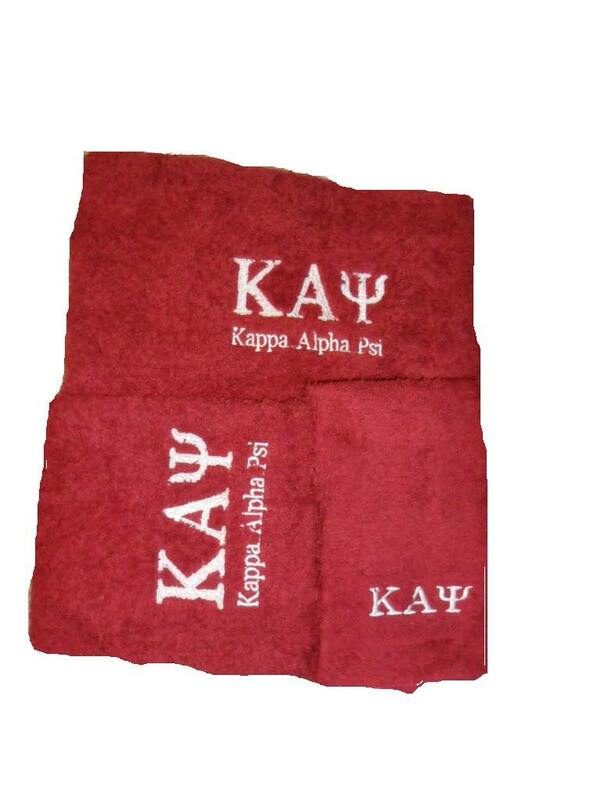 Kappa Alpha Psi Greek Letters embroidered in white on red towel set. Set consists Bath towel, Hand Towel and Wash Cloth. All 100% Cotton. Washable. Perfect fathers day, holiday, birthday or any occasion gift for your favorite Kappa Gentleman. Approximate towel sizes: Bath 30" x 54"; Hand towel 16" x 26"; Wash Cloth 13' x 13"
This item can be made up with other Greek letters. Just send us a convo with your order. MoDessa is the best! Ordered on a Monday delivery came in on Friday. I can't wait to surprise him with it, I'm sure he'll love it. Item shipped very quickly and in perfect condition!